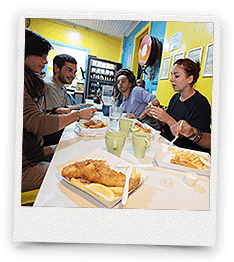 Why Stay At Jolly Swagman Backpackers Sydney? 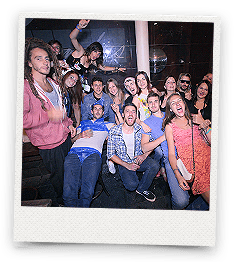 For over 20 years we have been helping backpackers have the best possible time in Sydney. We love what we do and we want you to have a memorable time in Sydney for all of the right reasons. Our experienced team is committed to helping you have a better time than even you can imagine. No matter your budget we have the perfect bed for you! Maximise your time in Sydney with our perfect location. We hear stories about travellers that have stayed at other hostels in Sydney and have had to waste a lot of their time on public transport. At Jolly Swagman Backpackers Sydney we are right in the hub of the city so you have all of the famous sights right at our doorstep. We make no secret of the fact that we believe Sydney is the best city in the world. After a few days staying with us, we think you are never going to want to leave either (or at least book in a return trip as soon as possible). The iconic Sydney sun, sand and sea often take the headlines in travel brochures, but there is so much more to explore while you are in the Harbour City that we know you are going to love. One of the reasons that so many of our guests love the location of Jolly Swagman Backpackers Sydney is that the ubiquitous beaches are so easy to access. Once you explore our magnificent sandy stretch of Sydney coastline, we know that you will love this city as much as we do. For the early risers, there are golden sunrises that will be permanently etched in your minds and hearts. But don’t worry, if you are enjoying your sleep too much in our comfortable beds, the turquoise water really shimmers and shines in the afternoon once you mosey on down to Bondi. No matter what time of year you come to Sydney, there is never going to be any horrible ‘weather shock’. Balmy summers are perfect for lazing on the beach. Winters are not too dramatic and are the perfect time of year for exploring the best cafes. Spring and Autumn are probably the most beautiful. Whenever you arrive in Sydney we know that there will be exciting indoor and outdoor activities that are enriching and unique. 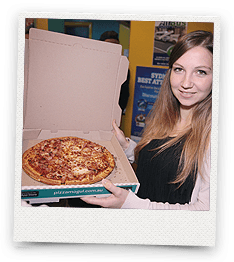 We don’t care if you call us a hostel Sydney, youth hostel Sydney, cheap backpackers Sydney, Kings Cross backpackers or cheap accommodation Sydney, as long as you recognise that we offer the best value for money hostel in Sydney. We are not ashamed to say that Sydney learned how to make a fine drinking establishment from our heritage in the ‘old country’, England. But where we revel in our traditional pubs, the new generation is evolving the local establishments and you are the beneficiary. Craft breweries are popping up all over the city and are winning International Awards for their innovative brews. Spend an afternoon in a Sydney pub and you will experience a never to be forgotten time with new friends. Watch a Saturday afternoon game of NRL, then walk to the local bowls club for an affordable ‘schooner’. What do you get if you mix all of the world’s finest cuisines with the highest quality ingredients? The Sydney eating scene. Hipster cafes that are constantly reinventing brunch with flavour explosions. Hatted restaurants that have been wowing the critics and causing some ripples at an International level. Enjoy marbled Australian beef and the freshest seafood. With such an active lifestyle in Sydney, you will never be short of options to satisfy your appetite. What is a typical Sydney-sider? There is no such thing! Sydney is a modern metropolis that is a melting pot of people, cultures and ethnicities. As you move from suburb to suburb, you will feel like you are travelling through countries. From the Vietnamese hub in Cabramatta to China Town in the CBD, meandering through the little corners of Sydney is an affordable way of circling the globe. The great news is that there are some stunning delicacies that will treat your taste buds, follow the local crowds and you will find memorable experiences that will be sure to make your friends back home very envious. 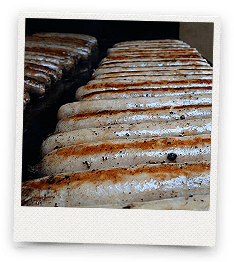 What Do Guests Recieve At Jolly Swagman Backpackers Sydney? We have a wide range of rooms, dorms and beds. No matter how long you are staying in Sydney, we have an option that will perfectly suit you and your budget. We have extensive experience in creating a fun environment that will add to the excitement of your stay. 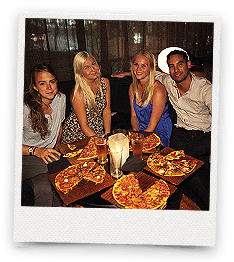 Every night of the week we have unique activities planned so that you can enjoy the ‘real Sydney backpacking’ experience. For the best rates come and visit our specials page. Every week of the year we have amazing discounts. If you would like to extend your travel budget, this is probably the easiest way (unless you really want to eat two-minute noodles the entire time you are in Australia). If you are travelling on your own, with a crew or with your loved ones, our range of accommodation options will ensure that you have the privacy and facilities that you desire. Our staff are always on hand to help solve any issues you are having in your stay and are happy to share their extensive travel and local knowledge to ensure that you have a great time. Make your next trip a Jolly one! 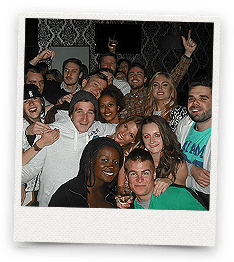 Whether you are looking for cheap accommodation or a great place to meet new people from all over the world, contact the friendly staff at the Jolly Swagman and book your stay today.